William Frick & Company has introduced three new RFID tags designed to improve the efficiency of oil and gas producers and their ability to identify valuable assets in the field. Developed by Technologies ROI, the new tags – WoW, FRAC and Sling/Hang – are highly resistant to impact, pressure and water, and are readable at long range. The weldable WoW tag is designed so that it can be attached to any metal surface. It is UHF Class 1, Gen 2 / ISO 18000-6c compliant and can be detected from every direction with its antenna design with spherical readability. 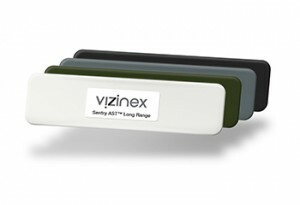 The rugged FRAC tag fits snugly around pipelines and other tubular objects. 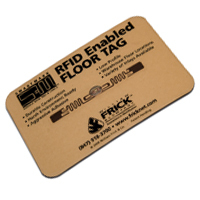 The metal-mount tag employs a rugged chip on-board electronics design in an impact resistant, vulcanized rubber package. The attachment mechanism is a 5/16th inch braided stainless-steel nylon-coated cable with pre-crimped ends that slide together and lock tightly when pressed closed. Similar to the FRAC tag but its braided attachment cable is a loop appropriate for fastening through chain links and other small openings. It also has an anodized aluminum plate that can display a 2D bar code, serial number, logo and other information for identification redundancy.